The AVE is the high-speed train service in Spain. With most services running from Madrid (and a few going north from Barcelona), you can now reach Seville, Valencia, Malaga, and Cordoba (as well as travel between Madrid and Barcelona) quicker than you could fly. AVE trains are a luxurious and efficient way to get around the country. If it wasn't for the AVE, certain day trips from Madrid wouldn't be possible. AVE train tickets can be bought in person at Madrid's Atocha Train Station or Barcelona's Sants Station. But the easiest thing to do is book your tickets online. The most popular AVE train route is from Madrid to Barcelona, but this is actually the only route where taking the train is not necessarily the best way to travel. There is now the Iberia Air Shuttle that has advantages of its own, such as the fact you don't need to book a specific flight, you can just turn up and get on the next plane. The original AVE route, you can get from the capital to the jewel of southern Spain in two hours and thirty minutes. Or stop a bit earlier in Cordoba. Madrid's most popular day trip is just thirty minutes from the capital. But the new will be better for most travelers (unless you happen to be staying right next to Atocha Train Station). Visit Spain's third biggest city from Madrid in under one-and-three-quarter hours. Stay in Cuenca for a night to see its famous hanging houses and to visit the city's world-class modern art museums (the tiny city has three of them!). The AVE route also continues on to Alicante. Visit the south coast's biggest city in just two-and-a-half hours. The AVE is slowly being rolled out towards the north-west. Get to the French capital in six hours and twenty minutes, giving the flight route a run for its money in terms of convenience. The route is non-stop as of December 2013. Getting to the Salvador Dali museum from Barcelona used to be quite a pain but the new AVE route takes just 53 minutes. Travel between Catalonia's two most popular cities in just 37 minutes. Barcelona to Paris: See above. Barcelona to Lyon: A five-hour train journey is all that separates these two cities. Barcelona to Marseille: It takes four-and-a-half hours to get from Barcelona to the French Riviera. In fact, this route starts in Madrid, but you're better off flying from Madrid. Barcelona to Montpellier: Getting to Montpellier by train now takes three hours. Barcelona to Toulouse: Trips to Toulouse also now take just three hours. With such an efficient train service available in Spain, it makes sense to use it for day trips that would normally be impossible due to the distance between the cities. The AVE is quick. 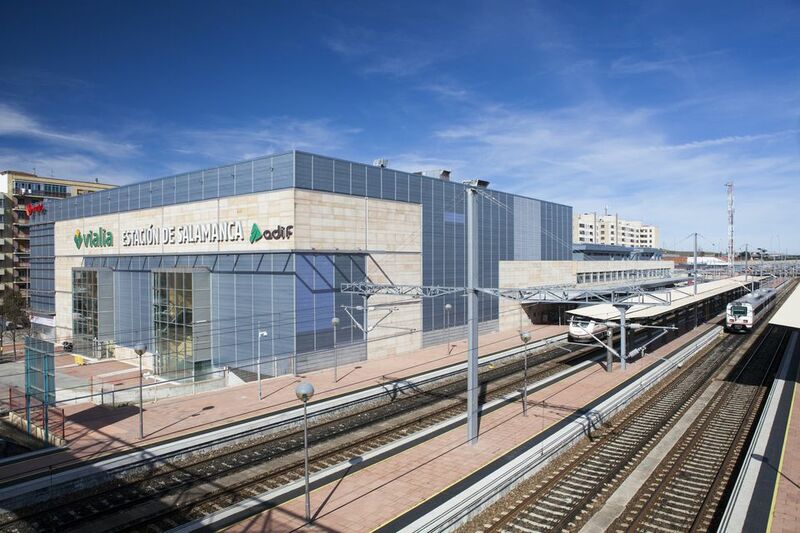 The Madrid-Seville AVE service is the quickest and most efficient way of getting between the two cities, making the journey in two-and-a-half hours. It's convenient. Taking the AVE train makes the journey even quicker than flying, as the train avoids the fuss of checking in and getting to and from the airport. Spain's train stations are generally in the center of town, so once you're there, you really are there! The speed and convenience of the AVE mean some of Spain's more distant cities can be seen in a day trip from Madrid. You can even get to the beach and back in one day. The AVE is punctual. The AVE train service has a 'commitment to punctuality': If your train arrives more than five minutes behind schedule, you get a complete refund of your ticket price. Not bad, eh? Sure beats flying! The AVE is luxurious. Big reclining seats, recent movies (in Spanish) and music (which you can listen to with the free headphones). The AVE is expensive. Unfortunately, all this comes at a price. The AVE cannot compete with the budget airlines for rock bottom prices, but it can't be beaten for convenience. However, if you are traveling at short notice, the train is cheaper than the plane.